The role of inside sales is changing to be more demanding. 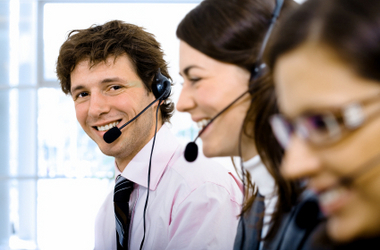 Your customer’s expectations from your customer service department is greater than ever. It’s no longer adequate to simply “be there” when a customer is ready to order. These days, customers expect you to know their business and anticipate their needs. And with instant access to your competitor’s offerings, your prior relationship with your customer is constantly being put to the test. To add to the mix, your inside sales team plays a more important role as the cost of getting face-to-face with customers from outside sales teams spirals in cost. When planning how you’re going to confront this challenge, the first thing to do is ask, “What do we actually expect our inside sales team to do that they aren’t currently?” Although companies sometimes label the department as “inside sales”, often times, they aren’t expected to drive sales. Rather they really serve a customer service function, facilitating sales where the demand has already been created. There’s nothing wrong with having exceptional customer service people — without them customers would leave quickly — but it’s important to clarify their precise role. For true inside sales teams, ones who are responsible for creating demand, there are two primary types, reactive and proactive. Reactive: These teams respond to incoming communications from customers and through up-selling and cross-selling, sell “deeper and wider” with them. Proactive: These teams reach out to existing customers and again, cross and up-sell. For your team to effectively stimulate sales in a cost effective manner, good account planning is critical. Before they contact a customer, they should be very familiar with their buying history, past issues/challenges and what share of wallet your company is currently capturing from them. A good inside sales rep will be armed with some great questions that will help uncover business challenges that the customer has and that your solution can solve. It’s not good enough to simply call up a customer to tell them about your library of products. These types of calls can be made by either your inside or outside sales team. But whichever route you go, they must be very skilled in being able to draw out in a conversation the problems, issues or goals of the customer and explain how using more of your company’s product or service can help them solve issues or reach their goals better. The good news is that advances in technology (web, email, auto responders) allows inside teams to sell to your customers more effectively. Northbound “Goal Aligned Selling™” program can help turn your customer service or inside sales teams into exceptional achievers. For more information or to arrange a complimentary workshop for your team, contact Michael at mcaron@northboundsales.com or 416.456.1440.